HERE WE GO!!!! 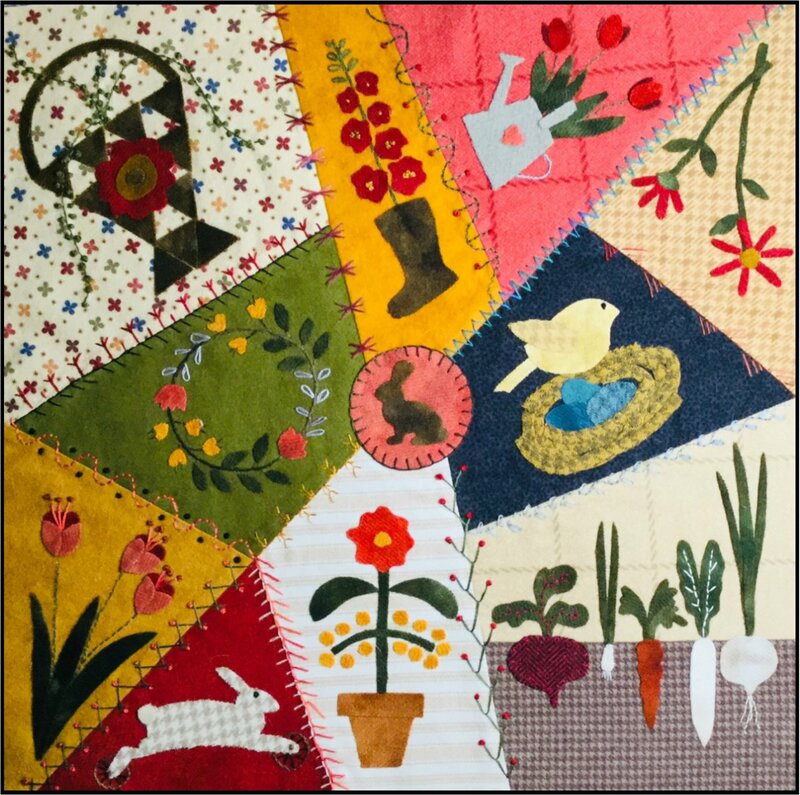 Block 1 for our Crazy Seasons Mystery Quilt. I loved creating and stitching this block - it's so colorful! Finished block is 16". Made from flannel with wool applique and embroidery. Follow the schedule to pick up the remaining 11 blocks for this project. Click here for schedule.